Everyone is welcome to come and watch these 3 Lent-themed movies with us and then stay for a discussion. Screenings start at 6:30 pm. 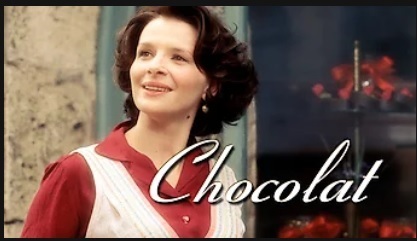 Wed., March 20: “Chocolat” – A French town, complacent in their homogenous, ordered life, is unsettled by a chocolatier who arrives to bring delight, disruption and love in the middle of their Lent. 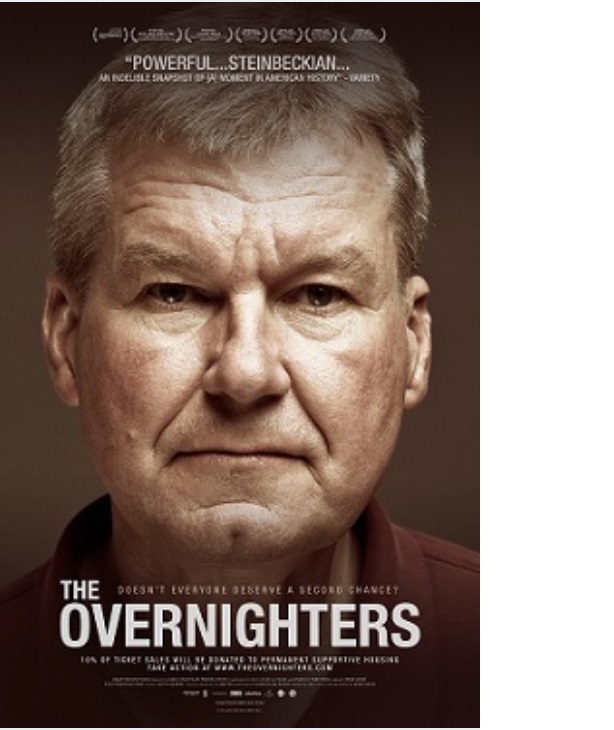 Wed, April 3: “The Overnighters” – A provocative documentary about a pastor in North Dakota who led his church to follow Christ’s directive to love their neighbors–the desperate, poor, rootless men who flocked to new oil jobs in towns that didn’t want them. 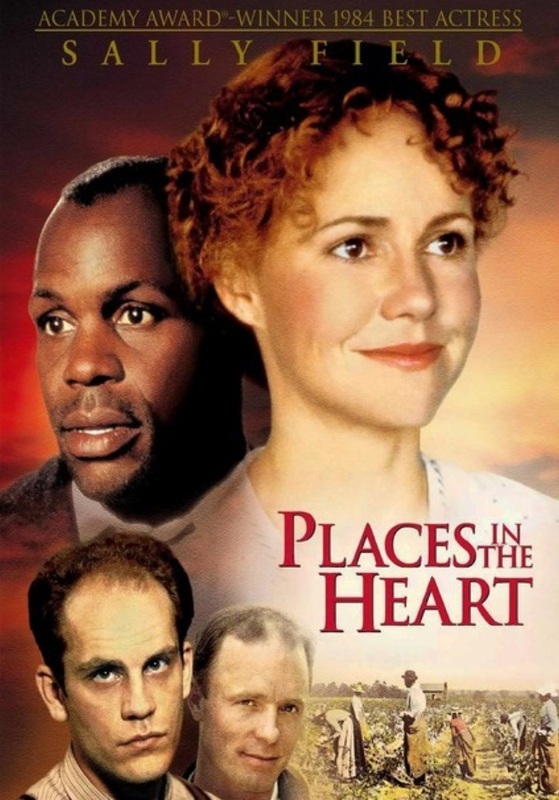 Wed, April 17: “Places in the Heart” – A young widow in segregated, Depression-era Texas fights to save her farm, helped by a blind white man and a poor black man. Their shared struggles culminate in a uniting celebration of Communion, with the community passing each other both the elements and the peace of God. All movies will be shown in the Graybill Room at the church, with popcorn! 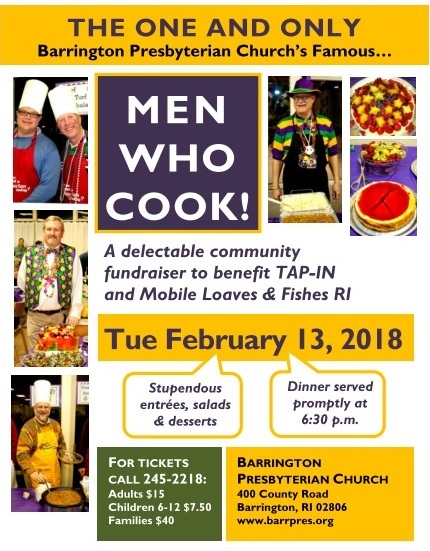 Bring your appetite and join us for our annual community extravaganza Men Who Cook on Fat Tuesday, March 5. We’ll celebrate Mardi Gras and enjoy a great meal together. Save room for dessert! All proceeds benefit TAP-IN and Loaves & Fishes RI. For tickets, call 245-2218. 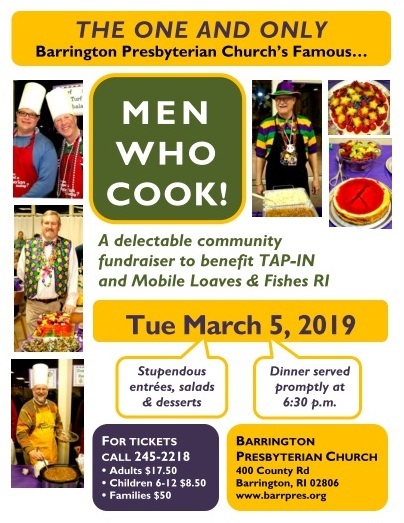 Author bpcnewPosted on January 8, 2018 March 11, 2019 Categories EventsLeave a comment on Men Who Cook 2018 Is Here!